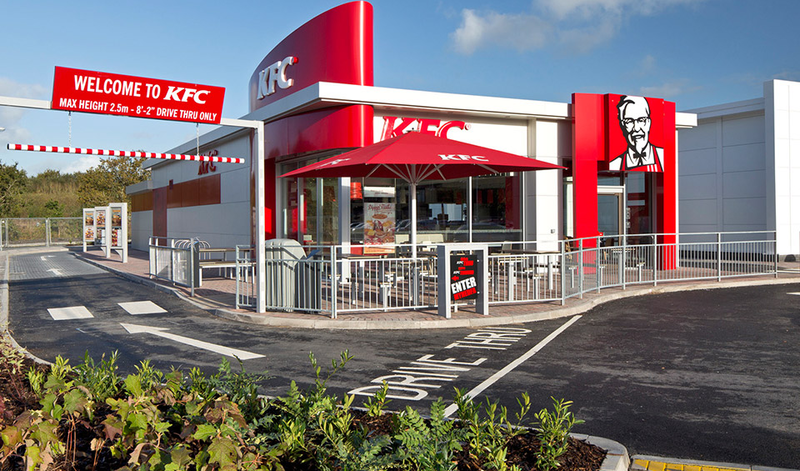 Phone KFC on their UK customer service number 0345 753 2532 to contact a representative for their full menu to confirm any allergens and for sales deals on their fried chicken meals. Similarly you can call this helpline to find your nearest restaurant where you will also be able to get their respective opening times. Once you have located your nearest outlet you will be able to place a telephone order for collection. Alternatively you can request delivery to your home address, however many Kentucky Fried Chicken (KFC) restaurants offer this service via an affiliated partner such as Deliveroo. Calls to KFC are charged at the same rate as calls to local 01 and 02 telephone numbers, which means you will usually pay an access charge followed by a per-minute fee. However you can avoid these charges if you have inclusive minutes remaining on your monthly mobile contract or landline calls bundle. Lines are open from 9am-8pm Monday-Saturday and 11am-5pm Sunday however these opening times are likely to be reduced on UK bank holidays. KFC offers a traditional postal address as well as an online emailing system for you to contact their customer service division in writing. They also have several social media channels which advertise upcoming promotional deals on their bucket meals alongside new dishes to be released in their restaurants. You can email KFC by completing an online contact form provided on their UK website. Here you will also find links to survey forms as well as to their Colonel’s Club loyalty scheme which entitles you to free sides and discounts off your meals after a certain number of purchases.